Fort Worth Archives - Roadrunner Rubber Corp. The “S” is for Strength! Fall is here and that means cooler temps and more rain. And while the weather is a sigh of relief from the blazing summer, it also means your forklift tires have to work harder. 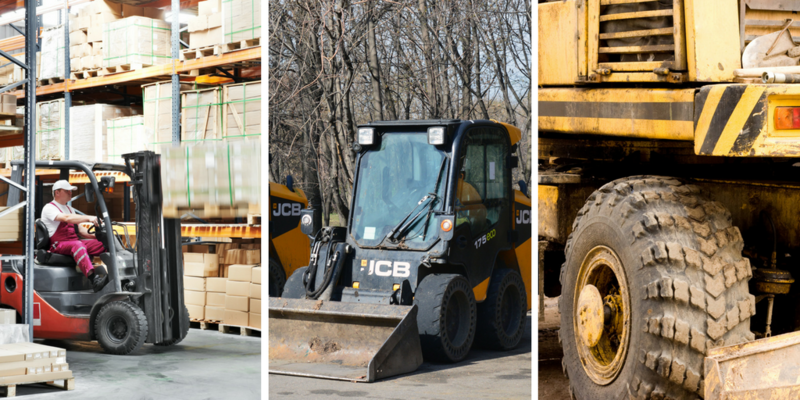 This time of year, your machines must begin moving up and down wet ramps and driving across slippery warehouse floors. Less traction means more potential for accidents! 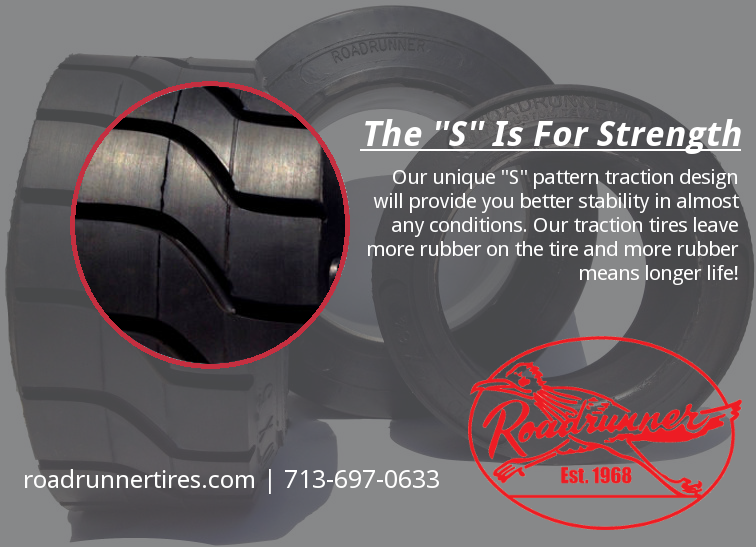 That’s why you need Roadrunner Rubber’s unique “S” pattern design on your machines’ tires! Our “S” pattern design gives better grip and and stability in almost any conditions! And, our traction pattern leaves more rubber on the tire, meaning a much longer life for your tires. Roadrunner Rubber’s fiberglass cushion press-on tires hold more weight and run longer than regular rubber tires! Need even more strength and stability? Combine our “S” pattern traction with our Fiberglass Impregnated Cushion Press-On Tires and you have “The World’s Toughest Forklift Tire” with exceptional grip and stability! Don’t wait! Get your FREE QUOTE now and let us install “The World’s Toughest Forklift Tire” on your machines today! Roadrunner Rubber has been making “The World’s Toughest Forklift Tire” for nearly 50 years in our Houston, TX plant. We have installed thousands of tires on as many machines all over the Greater Houston Area. 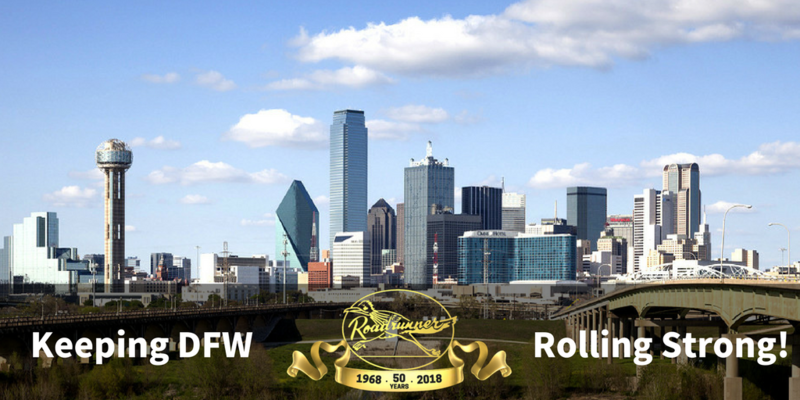 And now 50 years of service and top-quality tires is available to Dallas/Fort Worth! That’s right! 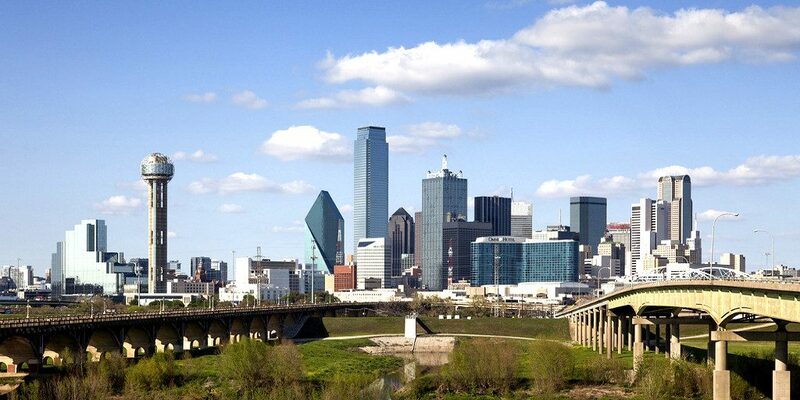 Whether you’re in the mid-cities or Arlington, Rockwall or Aledo, we’ve got you covered! 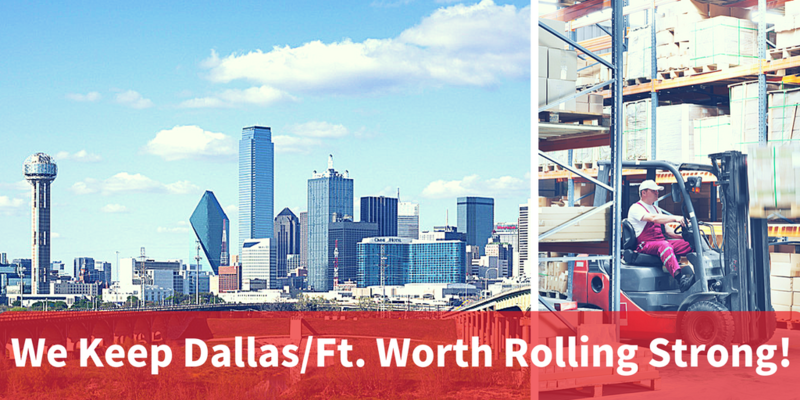 Don’t wait, DFW! 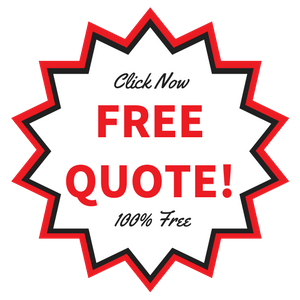 Go ahead and get your FREE QUOTE now! 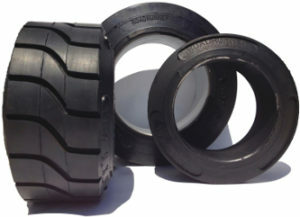 Let Roadrunner Rubber install “The World’s Toughest Forklift Tire” on your machines today!